If you're a makeup lover I'm sure you've heard about the Lip Glow before, Dior's iconic rosy lip balm. 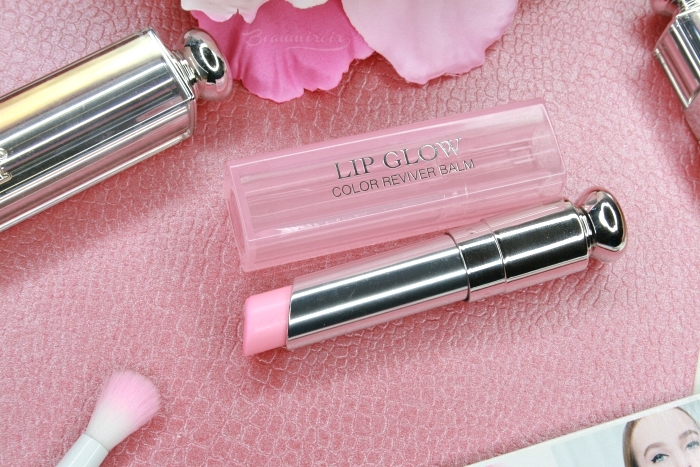 Until recently it only came in one universal shade of sheer glossy pink, but the brand released several colors to create a whole range around it. Then a few month ago they launched two new finishes, holographic and matte. I was curious about the mattes: how can a lip balm supposed to enhance the lips be matte? I bought Matte Pink (101) to find out for myself. Keep reading to hear my thoughts! 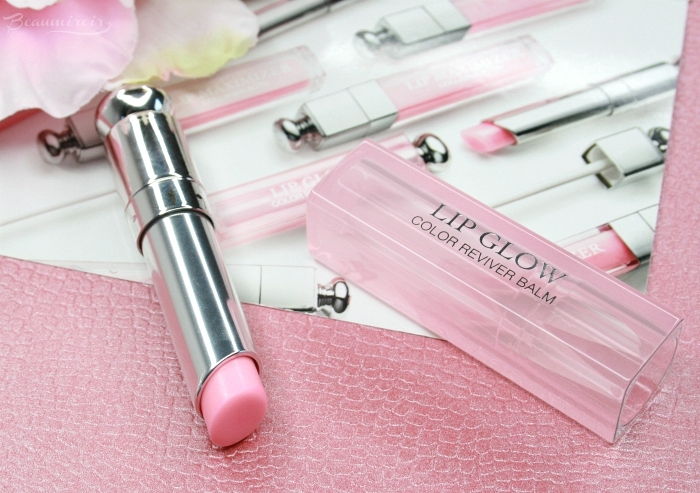 Matte Pink comes in the same tube as the rest of the Lip Glow Color Reviver Balm range. As far as I can tell there is no difference at all with the original, so the only way to know which shade you're picking is to look at the label at the bottom. 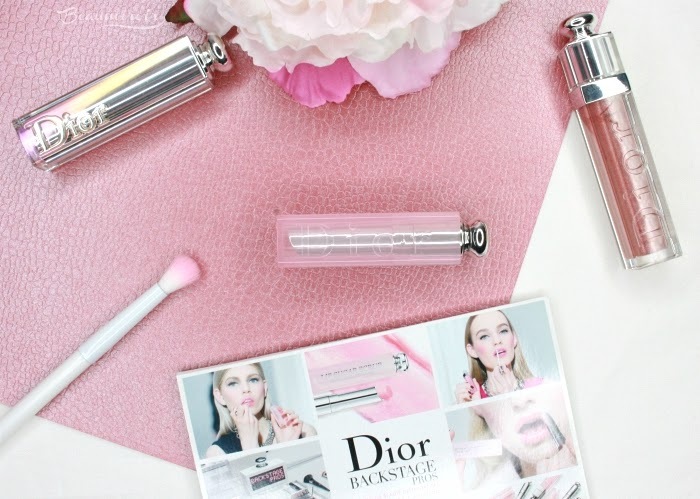 The packaging is very similar to the Dior Addict lipstick's, but the outer plastic tube is a cloudy pink. There is a faint minty scent that I can detect if I sniff the bullet, but it's so subtle that I don't even smell it when I'm applying it. Looking into the tube, Matte Pink looks like a very pale warm-toned pink. I avoid very light colors on my lips because they wash me out terribly. However the color of this balm becomes darker and more vibrant on contact with the lips, so it turns into a sheer mid-tone pink. 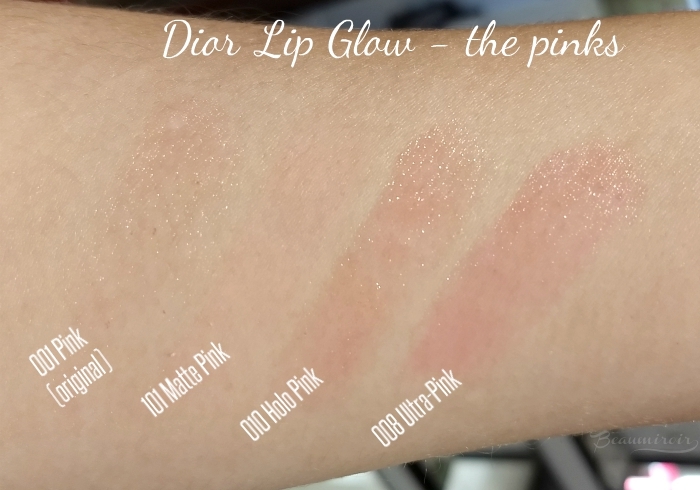 Just like the original Pink Lip Glow, it's sheer enough that trying to swatch it is an exercise in futility - I did try to swatch all the pink variations in the range, enjoy a photo of not much below. But it's also colorful enough to make a difference on the lips. I think the name Color Reviver Balm is actually a good description: it adds a subtle veil of pink to my lips, and you could think that they're just naturally rosy. It's kind of an extreme version of the "my lips but better" lipstick. The Lip Glow part of the name, on the other hand, really doesn't apply to Matte Pink. Unlike the original Pink that added a bit of shine to the lips for a super natural polished look, Matte Pink makes my lips look totally matte. It doesn't look like I'm wearing a matte lipstick. It looks like my own lips are matte, like any natural sheen has been removed. It's a very unique finish and I've certainly never seen anything like this. It looks like a balm, kind of feels like a balm, but it makes the lips velvety matte without feeling dry. I feel like my lips look like rose petals when I wear it. The finish is pretty cool if you ask me, but Matte Pink isn't quite as fool-proof as the original, shiny Lip Glow. It glides well with a silicone-y feel, but it has a tendency to catch on anything that's on my lips (dryness, moisturizing balm, foundation) and ball up. If I apply too much, it will even ball up on itself. So I have to be careful to start with perfectly exfoliated, bare lips and not layer too much, as tempting as it is to build up the color. 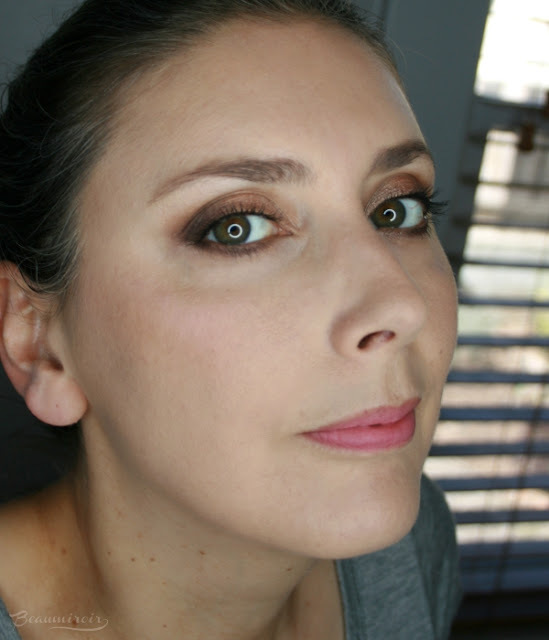 It wears longer than I expected for a slightly tinted balm, but it tends to get a bit cakey, sinking into lip lines and, you guessed it, balling up. I have to do touch-ups regularly to smooth out my lips with a fingertip so it looks even again. I do like the effect of the Dior Lip Glow in Matte Pink on my my lips, and I've never seen anything quite like it. However it requires a bit more care during application and more maintenance throughout the day than the original Lip Glow. If you're looking for a very casual, easy-to-wear tinted balm, you might want to stick to the regular Pink or try the new shimmering Holo Pink. If you're intrigued by the unique finish, on the other hand, it might be worth trying. There is one other new matte color in the range: Matte Raspberry, a deeper, berry pink.